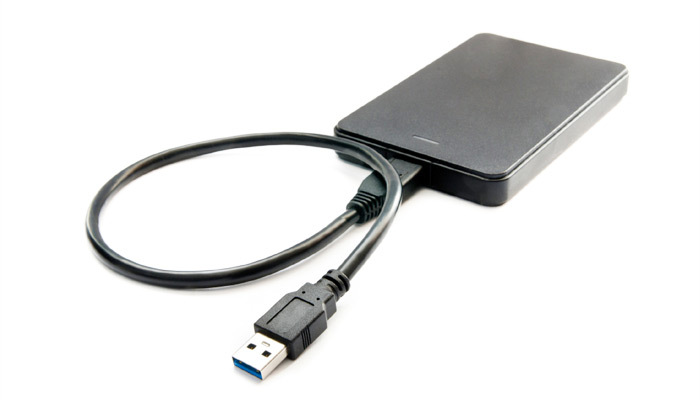 An External Hard Disk is a worthwhile investment for any computer user. If you are an avid downloader of content (legally, of course) then storing movies and mp3s on your computer is going to take up a lot of Hard Disk Drive (HDD) space. This is fine until you encounter the day when the HDD crashes. Backing up your data can save you the frustration and anger when that happens and this is where an external HDD really comes into play. When looking to buy an external drive, you have to consider the two types available -Solid State Drives (SSD) and HDD’s. SSDs have no moving parts in them, so vibrations and small impacts will not do any harm to them. However, as long as you treat your HDD carefully there is very little chance of anything happening to it either. Of the two, HDDs are easier on your wallet. You should decide on the size of the external drive, depending on how much data you want to backup or transfer out of your computer. If these are mainly documents that will be stored, then even a 100GB drive is enough. Otherwise, if you do need more space, 1TB and 2TB drives have recently become more affordable. If you can afford to wait a while, USB 3.0 drives will be out in the near future offering staggering transfer rates. But in the meantime, external drives come in USB 2.0, Firewire and eSATA flavors. You should choose one of these depending on the connectivity you have on your computer and the availability of external power as some of these devices require that. Just remember that the cost of an external drive is peanuts compared to the cost you will encounter at a data retrieval service should your HDD crash.